The Australian Hairdressing Council is a governing organization for the Hair and Beauty Industry. Being accredited as one of their Gold salons recognizes us as holding high quality industry standards not only for our clients but also our staff. The AHC organization quality controls the industry and pushes us to continually improve ourselves. We are currently holding a Gold status, so we can offer the best Hair and beauty services and experiences out there. Our stylis’s keep up to date with the latest in hair and beauty trends. Our professional products and retail offering are of the latest technology ensuring you never get left behind. It’s one thing we love at Hair By I is achieving that perfect service for you. The team proudly participatse in the latest styling courses. Turning runway looks into reality. Stay stylish for that special event! Also a good tool to use if you’re going away travelling and need to get you hair done whilst you’re away, check out the salon directory to see what salons are at that destination, and even take a peek at our profile while you’re there. Our highly-skilled hairdressers and beauticians are committed to using the very best the industry offers. Kérastase Paris has been the Hair and Scalp Expert since 1964, offering continuous innovation in its product creations and prescriptive solutions for every haircare need. Kérastase Paris is known for its iconic haircare products and professional rituals which offer tailored solutions for the sublime transformation of hair. 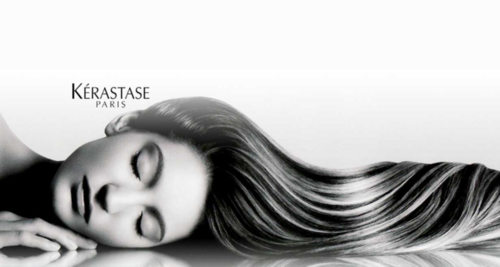 Kerastase believe that your hair is an important messenger to the world, and so you must care for it, exquisitely. That is the raison d’être behind Kérastase, originator of luxury hair care. They believe hair is more than something you wear every day. It is an individual expression of the way you live, and the way you want to live. Keratin Complex Smoothing Therapy is different. Keratin Complex’s revolutionary technology does not break the hair’s bonds, instead delivering the versatility of smoother, healthier-looking hair that can be styled wavy or straight as desired. Our unique Smoothing Therapy treatments contain high concentrations of keratin that penetrate throughout the hair structure, and then are sealed within the cortex to repair damage. We use Wella Professional colour and retail care range. We are official stockist of GHD electrical straightners and dryers. Terms & Conditions: Your Hair By I Rewards begins when you sign up to our email list. When you reach a $1500 spend per calendar year you will be upgraded to our Hair By I Gold Rewards Program by invitation. Offers and member reward accruals may vary and is at the sole discretion of hair by i. Hair by i member rewards can be used as part payment for full priced services and products only (unless stated by the salon otherwise).Rebooking rewards is only discounted on full priced services that are rebooked at last salon visit and that are not cancelled within the 4-6 week time frame. Refer 5 friends to receive $100 credit must all be adults and all in the same calendar month. The $100 credit can come off your total bill. Full contact details inc up to date email addresses must be current to ensure up to date information regarding the hair by i rewards program can be provided. To qualify for hair by i rewards you must accept to receive all promotional emails from hair by i. All terms and conditions must be adhered to or your hair by i members rewards program may be cancelled. Hair by i members rewards program can be changed or ended at any given time without notice. Points expire after 12 months.